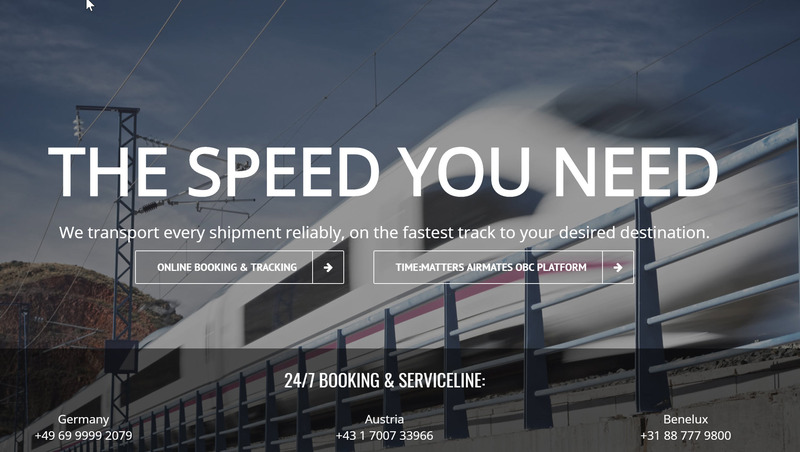 Franz-Joseph (FJ) Miller is the founder and CEO of time:matters Group, an international service and technology platform offering sameday deliveries and global special speed logistics. 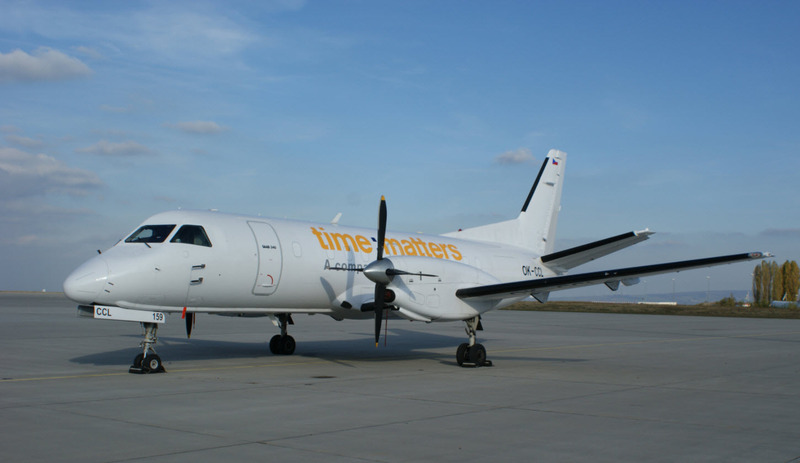 “The time:matters experts & freaks save butts, bucks, and sometimes lives by delivering globally within hours.” time:matters' serves leading logistics players and blue chip companies from various industries (incl. online retail, automotive, high-tech, machinery, oil&gas, aerospace) when time is critical or complex special solutions are required. The company operates a network of 600+ partners dedicated to Sameday & Emergency deliveries with offices in Frankfurt, Vienna, Amsterdam, Shanghai, Dubai and Singapore. FJ has grown the business to almost €75m in revenues, 200 staff over the last 10 years and the business consistently realizes a Net Promoter Score (NPS) of 70 with its customers. In AUG 2016 Lufthansa Cargo acquired 100% of the shares as part of a strategic acquisition to focus on service & technology driven asset-light business models. 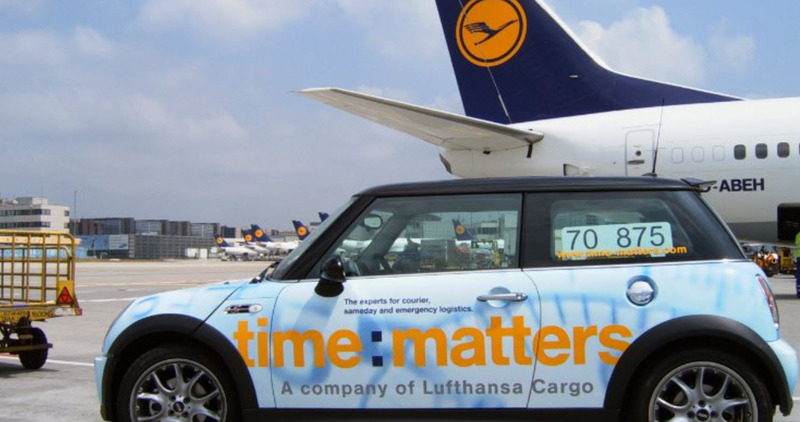 time:matters was originally an idea within Lufthansa built around customized logistics solutions tailored to a business’s specific needs, which could be anything from time-critical spare parts, large machines, highly urgent documents, unique prototypes or even sensitive specimens. I joined Lufthansa as Managing Director of the Same Day division with the task and opportunity to spin the time:matters business out of Lufthansa in 2001. I immediately liked the idea of a service business that you could build out as a platform. I saw the opportunity to create a sophisticated, scalable business that focused on the high-urgency, high-importance transportation requirements business, and with Lufthansa as a partner we had a great foundation to build on. What were the first steps you took once you spun the business out? I studied other corporate spinoffs that were not successful and one of the main reasons for failure was because the spinoff stayed too close to the corporation. 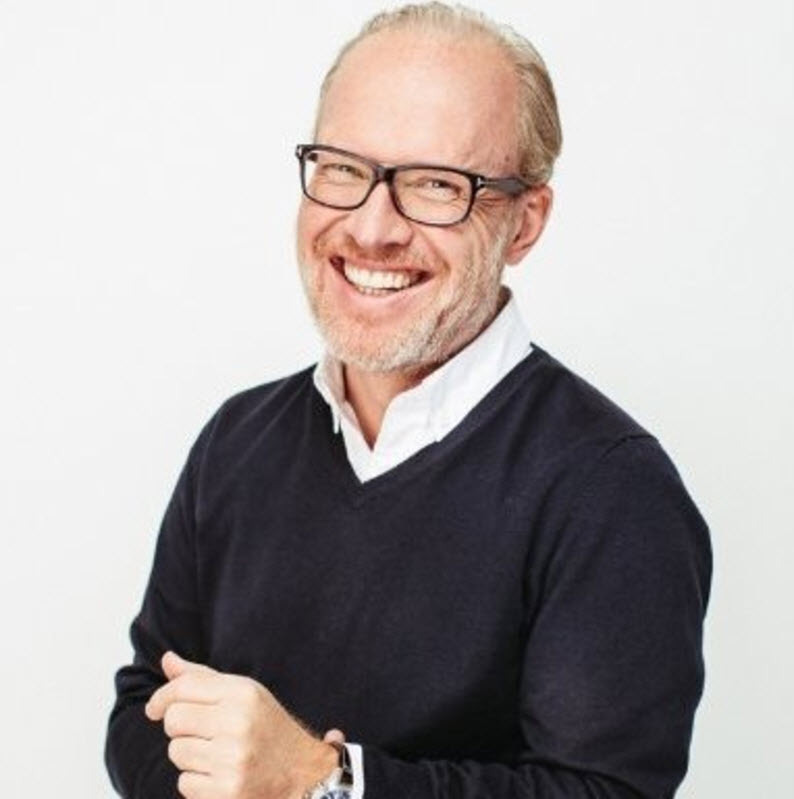 Based on that research and my experience at Jamba, it was clear to me that in order to be really successful, we needed to create our own company environment – that is, we had to leave the Lufthansa corporate mother ship and develop our own culture and we had to do so from the beginning. Fortunately, the Chairman of the Supervisory Board was very supportive, and also encouraged me to develop our own unique time:matters style. The benefit of this approach was confirmed early on: for example, a hire who was let go by us went to corporate (Lufthansa) HR to complain. We had to explain to HR that we let him go because the person didn’t fit our culture, and no, we couldn’t find them a different role. The Chairman stood by us through situations like this and it helped us to signal to everyone that we were sincere about building a distinct and separate time:matters culture. What did you do in the early days to build the right culture? I brought in a lot of learnings from my previous roles as an entrepreneur and as European director for sales and marketing at Jamba, a high-growth German startup founded by the Samwer brothers. At Jamba our values rotated around speed, execution, commitment and passion. When I spun out time:matters we were an initial team of five and we started off by defining ten mantras of how we wanted to do business, which I wrote upon a wall. We had an open and controversial discussion about what was important to us as individuals and what the business would need, which went back and forth over a number of weeks. My focus was to always be transparent about what we did and also be open about the business numbers from the beginning. It was very important to me that we create not only a start-up culture, but also a profit culture from the beginning. In that respect, I believe that if you inform people, set clear goals and treat them like your partners, they will take responsibility and act like they are part owners of the business. We would get together every day for lunch and, although not a deliberate strategy, it was definitely one of the reasons we became such a close-knit team. We spent a lot of time getting to know one another on ski trips and other outings and aside from working long hours, we just had a lot of fun. To be honest time:matters never really felt like work, it was almost as if we left our first family in the morning to go and spend time with our second family at the office. How did you come to be known as the “time:matters freaks”? We had a conversation about how we wanted to be perceived culturally; basically how we wanted to define and differentiate ourselves, and we all agreed that in one way or another we were, indeed, freaks. We had many discussions about the positive and negative connotations of the word “freaks” but we decided that if you are truly and deeply passionate about something then the word has a positive connotation. The time:matters freaks are fascinated and excited by the opportunity of finding solutions to client’s problems and challenges. And a freak has a clear passion and values, we like this kind of self-confidence and conviction in our team members. What did your hiring process look like in the very early days? In the early days our culture processes were pretty rudimentary, but from the beginning we understood the importance of the right attitude and culture fit. When candidates came in for interviews we would ask them why they wanted to work at time:matters. If they said that it had anything to do with Lufthansa, it was the wrong answer, and they self-selected out. We didn’t want people who were joining us for the corporate flight benefits. We were looking to hire people who were truly fascinated by what time:matters was doing and we believed that passion and discipline will always beat experience. Which was your most important hire as the business started to develop? I was lucky that I had two very passionate ladies managing operations from day one, where one was taking care of partners, the other one was doing sales contacts. They both acted as if it were their company and that was a huge support for our initial growth and helped craft the culture. I’m very happy and proud, that both are still integral fully committed members of the company today. My key hire was the CFO (Dr. Arne Schulke), as I needed someone who I could trust to take care of numbers and represent the culture, and I looked for a sparring partner. I interviewed 10 candidates who all looked great on paper, but there was one candidate who was different from the rest. He was what we would later qualify as a real freak, truly passionate and not afraid to be direct and move me out of my comfort zone. I could see that aside from his intelligence, we would have a lot of fun working together and just had a feeling that I wanted to work with this guy. I felt so convinced that he was a fit during the interview that 20 minutes after he left I decided to call him up, told him that I wanted to work with him and offered him the job. His immediate response was “FJ, I am in”. I asked him if he was sure and if he didn’t want to discuss it with his wife. He said “Well you’re obviously absolutely sure and didn’t discuss your decision with anyone, so since I really enjoyed our talk, I’ll just do the same and decide right away.” It was my quickest and probably best hiring decision. How did the hiring process change over time? We started focusing much more on the culture piece of the interview process by asking ourselves whether we really wanted to spend time with the candidate, regardless of their skills and experience. When we made hiring mistakes we realized that it was because the candidate’s CV impressed us, or we were star-struck by the companies that they had worked at, and forgot to ask ourselves that key question. We made a lot of our bigger hiring mistakes when pressured to hire quickly. All in all, we probably made ten hiring mistakes over the years that we really regretted. Looking back, we were able to see the pattern in the process of making a bad hire; we basically found that we, the hiring team, were not secure in our decision-making, and the process would drag out and we would take a long time to eventually make the hiring decision. At the time of the hire we didn’t realize where the delay was coming from, we just felt that something wasn’t right. Common sense was telling us not to hire the person but we didn’t spot it and couldn’t tell why. It took us a while to get the cultural part of the interview right and it really started to come together after we defined our values. We created a three-stage interview process where we have the first two interviews with the candidate discussing their skills/experience, the company and the role. The third interview is where one of the senior management team or one of our people who has been trained to do interviews will evaluate the culture match. When did you actually define the company’s values? · Is there something that they do that they are really passionate about? · Are they looking for and willing to accept responsibility or are they just looking for another job? · Can they stand their ground and be straightforward if you call them out, or do they become defensive? · Can I go out and have a beer with them? And we changed the way we came to the hiring decision: in the past if, one person started out saying that they thought this person was right for the job then the rest of the hiring team would kind of go along with that, even if they weren’t sure. We now have at least six people as part of the interview process and everyone actively has to say “I want this person”. It’s okay if one person says they are not 100% sure, but if two say they are not sure, then that candidate is out. If one of the six says “definitely not,” then that candidate is out as well. Basically, we now require a specific positive hiring decision again improved the process from the passive “I could veto”. Using this three-stage interview system with six interviewers has made it easier to hire because the hiring team feels responsible for the hire and each person has to commit to agreeing to bring that person on board. How has the business developed since you were a team of four? We’ve created a very scalable and profitable business model which has made us quite successful over the past sixteen years. We grew the business from 4 to 30 people and to €18m in revenues in the first five years when we did the MBO. Since then we have grown the business to 200 staff and will achieve more than €75m in revenues this year. An interesting culture shakeout happened when we did the MBO, as we had a chance to see which members of the team were truly committed to the company and who wasn’t. There was a transition period after we had completed the MBO during which time people were offered the chance to stay with time:matters or transfer to a role back to Lufthansa. If they stayed with time:matters, they would lose their corporate privileges though (e.g. stand-by flights, travel benefits etc.). The vast majority of people did not think twice and stayed, but few people did transfer back and they were the ones who probably fit better to the more corporate culture. How do you know when the values are being lived inside the company? The best proof of people living the values is when I go around the company and hear people talking in meetings and naturally referring to our core values. It demonstrates that the values are really in the DNA of the company. Our people will naturally refer to the values when discussing the business, asking “Is this us, should we really be doing this?” I have worked with the belief that if our people see the leaders of the company living the values, they in turn will live the values. We have our values written up on the wall and the really nice thing is that our visitors, customers or suppliers tell us that they can see and feel the culture in the office because the way our people treat them is exactly the same as what’s written on the wall. As the founder and CEO that’s an awesome thing to hear. Have you had any difficult business decisions that have come from not doing what’s right for the business? Indeed: an existing customer offered us a new business opportunity, requiring a new service. I thought it was an interesting opportunity and that we should go ahead and try it. One of our team members said, “FJ, it sounds interesting but it’s not us.” He referred to our strategy, which is a precise strategy of the things we want to do and he said “This isn’t in line with our strategy and I don’t think we should be doing it.” One of the greatest moments for me as a leader is when you get someone in the company challenging the senior management. 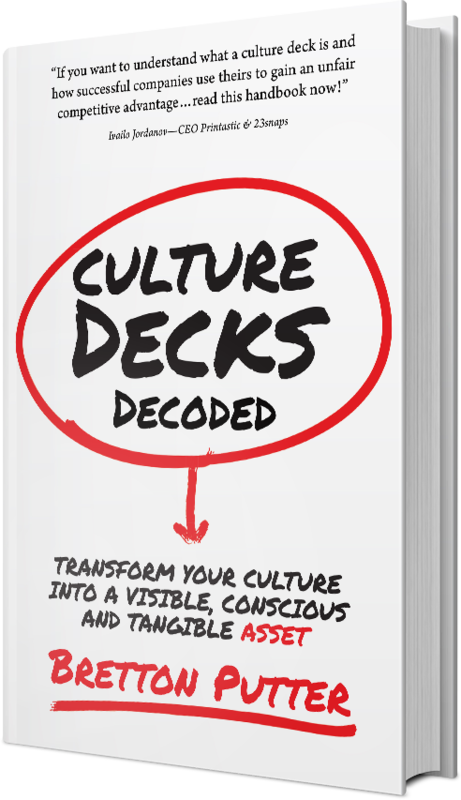 How else has the culture differentiated the company in your business dealing? We recently were in an exit process and in preparation of our management presentation I decided to add a slide on our corporate culture. The investment bank we were working with said that the private equity guys wouldn’t be interested in such soft topics and wouldn’t want to talk about company culture. I told the investment bank that if that was the case, then we didn’t want to talk to or do business with those PE firms. It turns out the PE guys were really fascinated by our conviction and commitment to the time:matters company culture and they realized that one of the main reasons for our success was our culture. Do you have any examples of your culture in action with the PE firm after the MBO? Two years into the MBO, after two acquisitions and the launch of ten international offices, we were hit by the Lehmann crisis. Our revenues went south and we were running out of cash fast. The PE firm were very supportive, but also pressed us hard to take sincere actions and if need be close down some of the investments we made. But I felt that we should stick with our strategy. At that moment I decided to share our situation with the whole team and ask for their support. The outcome was amazing in two ways. 1. We suddenly realized that we had always talked with the team about profits, but we had never shared with them the importance of cash. 2. The team very quickly understood the challenge and rather than being shocked, everyone started helping us cut costs and improve cash. We closed down some of our activities (e.g. the office in Switzerland), but mostly we were really tough on questioning expenses and re-negotiating contracts. And most of those ideas came from the team. Within two months, we were able to cut our operating expenses by about 33% and improve cash-flow by more than two million EUR. It was a huge success, helped smoothen out the crisis and was the foundation for our growth we’ve had since then. How difficult is it to get people to live all four values all the time? Well the first two are pretty binary – you are either “passionate” or not and you are either the type of person who likes to “have fun” or you aren’t. The third, “accept responsibility” and fourth, “talk straight” are more difficult to get people to live. Taking responsibility is easier I believe because if you hire people who demonstrate a willingness to take responsibility they will in most cases jump at the chance. Always talk straight is therefore the most difficult because there may be a personal reason why someone doesn’t speak out or say something or it’s just sometimes to easy to stay in your comfort zone and let things go, even though you feel like you should say something. We are working on embedding these on a consistent basis in the company. One tool is our biannual passion score, in which we ask for feedback from all employees on how well we are doing as an employer and requesting open feedback on where we need to get better. This feedback is invaluable and has really helped us to make improvements. 1. We’re all about speed! So remember this, not only in dealing with customers, but in strategic decisions in prioritizing, or also in dealing with each other or in selecting suppliers and partners. 2. We are all about solutions and services to help solve challenges and problems for our customers. Thus, we are not a typical logistics and transportation process business, were customers must follow the system. Our offers are providing a unique customer experience in critical situations. 3. What we do really can save lives. Thus, quality and performance are not an option, but a must. As an example, we are the largest stem cell transporter in the world. It is critical to deliver the specimen in the same condition we received it in, on time, because when we are transporting the cells the patient is literally being prepared to receive them on time. This is a potential life and death situation that we can’t fail at. Aside from looking at our growth rate and our profitability, our key focus is on providing the best and easiest-to-use customer service. For this, we measure our Net Promoter Score, which is above 70. That is comparable to Apple or the Ritz Carlton and absolutely unique in logistics. We have won numerous awards – Top Innovator from VW, Best Logistics provider by Siemens, John Deere, Texas Instruments and others. But most of all, we know that we will grow if we keep providing outstanding service and our customers can trust us. We offer a really great place to work at, a fantastic team, a really nice and modern office, frequent supply of steaks on our roof-top terrace grill-station, and many more of the usual perks that modern businesses offer. But we believe that our biggest perk is that you get to be part of a success culture and that includes getting real responsibility to do stuff and create results at time:matters. When people have left us and I catch up with them a year or two later, they say the thing they miss the most is the ability to make decisions and be responsible for a specific outcome. Responsibility makes people feel proud, valuable and appreciated and this is something you get a lot of at time:matters. And it makes us very successful.